Caroline is Chair of Engineering Education at UWA, Perth and has previously held appointments at the University of Sydney, Imperial College, UK and Queens University, Canada. Beginning her academic career in materials engineering, she has also gained qualifications, expertise and experience in education and anthropology and she now works at the juncture between these disciplines as well as between theory and practice. Caroline is particularly interested in ways in which materials science and engineering can help to create solutions for the environment as well as social problems. In 2006 she founded the not for profit organisation, Waste for Life (wasteforlife.org), which uses composites materials knowledge to co-create income streams for marginalized populations in different parts of the Global South. She has recently been awarded a large program grant from the Australian Department for Foreign Affairs and Trade to develop a Waste for Life initiative in Sri Lanka. 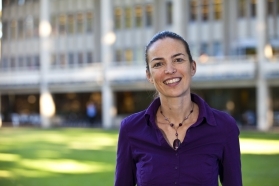 Caroline is a Thomson Reuters Highly cited materials science author, with over 200 publications, papers and books on green materials, engineering education and engineering and social justice. The talk would be focused on her work for Waste for life (wasteforlife.org) where marginalized populations are enabled to improve their livelihoods by developing products from the waste they collect, as opposed to simply selling it to a middleman. The materials research is done by students and by local communities on the ground. It is rudimentary materials research, involving the search for waste based products which sell and can be made by local communities (currently in Argentina and Lesotho and soon Sri Lanka) in poor conditions without the addition of additives, and with only basic equipment. This means it is extremely innovative but as it involves rubbish and basic processing, it is often not seen as such by the materials community. Caroline Baillie would not be presenting data but context and the story of how such sustainable materials development work is done. 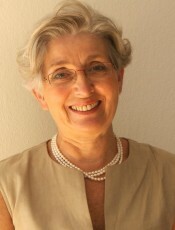 Margarethe Hofmann-Amtenbrink is the founder and owner of MatSearch. 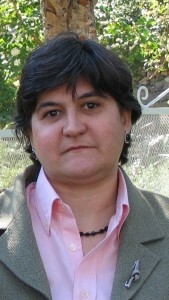 She is materials scientist, and trained in literature and patent search. She consulted companies, organized and conducted scientific and technical conferences and seminars together with national and international organizations. In the last years she concentrated her activities in creating and managed various research programs and projects in Switzerland and in Europe in the field of advanced materials, biomaterials, biotechnology, and nanotechnology for health (FP5 and FP7). She is President of the Federation of European Materials Scocieties and is also managing the Swiss Foundation Entwicklungsfonds Seltene Metalle, ESM. During the last 5 years challenges with resources and supply of some important elements became an important factor in the development and innovation of various products especially in the fields like energy, communication technologies, automotive, aerospace, construction, or machinery and equipment sectors. The European Union has addressed this problem, and an “Ad-Hoc Working Group on Defining Critical Raw Materials” consisting of experts from different European governmental and private organisations have prepared two reports in 2010 and in 2013. They identified critical elements playing a major role for the European economy such as Antimony, Beryllium, Chromium, Cobalt, Gallium, Germanium Indium, Graphite, Niobium, Tungsten, Rare Earth Elements, and others. For industrial development and innovation strategies, companies are depending on a) access to such elements, b) a certain price stability and c) sustainably supply. Not all of this was the case during the last years. These instabilities affect the competition in Europe and especially between Europe and China. Although Europe and the United States have many ore deposits, for less common elements China is controlling more than 95% of this market. Since February 2015, the market access to China has been opened again, and prices of critical materials decreased, which is welcomed by the materials industry, but however might have an impact on the exploration of new resources, increased recycling rates and maybe the development of novel substitution strategies and recycling methods in the Western world. Europe’s research and development is leading in many industrial sectors because of its innovative approaches, and the European market is growing in fast-changing sectors like communication, transport, health sector and energy, Most of these innovations are based on materials research and development which has been undertaken the last 20 years. Materials innovation takes a long time from idea to marketable products. To prevent wrong strategies of long-term materials research and development, it is necessary today and for the future to consider in materials research the reserves and availability of critical elements, their mining and processing as well as substitution, end-of-life use and recycling potential. Nicola M. Pugno was born in 1972 in Pavia, Italy and is currently married and has three babies. He holds a Master’s degree in Mechanical Engineering and a Master’s degree in Physics, as well as a Ph.D. in Fracture Mechanics and a Ph.D. in Biology. He is a Full Professor of Solid and Structural Mechanics at the University of Trento, Italy and there Founder and Head of the Laboratory of Bio-Inspired and Graphene Nanomechanics. 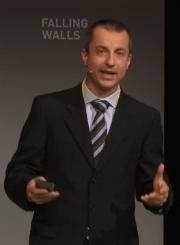 He is also the Scientific Responsible of Graphene Nanocomposites (within the Graphene Flagship) at the Fondazione Bruno Kessler, Trento, Italy and Full Professor of Materials Science at the Queen Mary University of London, London, UK. He has published about 235 International Journal (Int. J.) papers on Solid-, Structural-, Fracture-, Bio- and Nano-Mechanics in leading international journals mainly on nanotubes, graphene and related composites as well as on bio-inspired nanomaterials. He is in the Editorial Board of about 40 Int. J. including Scientific Reports, and he is Academic Editor of PlosOne and Editor-in-Chief of Bio-Inspired Materials as well as of Frontiers in Materials – Mechanics. NMP has received the 2011 ERC Starting Grant and in 2013 both the two ERC Proof of Concept assigned to Italy by the European Research Council. In this Plenary Lecture Nicola M. Pugno will discuss his recent studies on the mechanics of nanotubes, graphene and related composites as well as of bio-inspired nanomaterials (e.g. mimicking nacre for strength, spider silk for toughness, gecko foot for smart adhesion, lotus leaf for self-cleaning, bone for self-healing, etc. ), including a new concept and its proof for making the world’s toughest fibres. 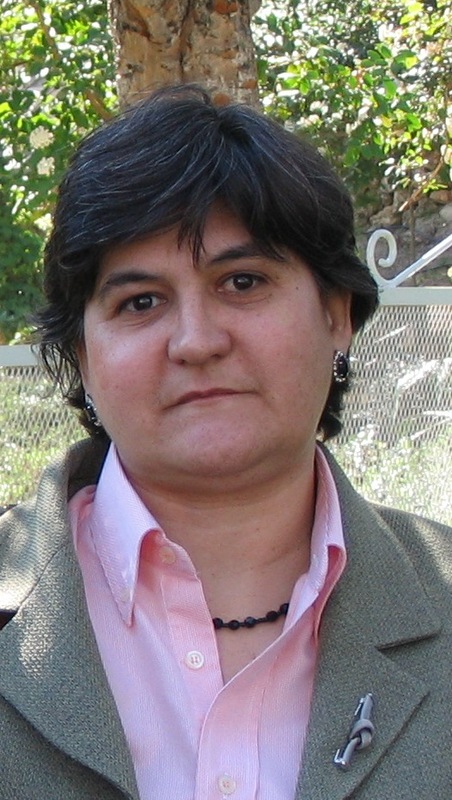 Paloma Fernandez is the head of the Spanish Materials Society and member of the General Assembly of the European Federation of Materials Societies (FEMS), in which SOCIEMAT is integrated. Since September 2013 she is also member of FEMS’ Executive Committee. She is part of the Materials Physic Department since 1986 and since 2007 she is full professor in the scientific fields of Materials Science and Metallurgic Engineering. The first Scientific Societies were born in Italy in XVIth Century. The first scientific discoveries, such as we understand in a modern context, questioned the fixed and dogmatic positions from leading classes, mainly the Church. A necessity arose to find places or forums where the “new scientists” could discuss their new points of view. In 1560, in Naples, was founded the Accademia Secretorum Naturae, also in Rome from 1603 to 1630, the Academia dei Lincei played a role and later in this century the Great Duke Fernando de Médicis gave support to la Accademia del Cimento. In England, Francis Bacon in his work Novum Organum (1620) defended the necessity of such institutions and some authors consider that this was one the reasons for Charles II to found the Royal Society in 1660. Although most of the prominent English scientist had began to meet in Gresham College in London, and later, during the civil war in Oxford, since 1645 with the suggestive name of Invisible College. In France, in 1666, Luis XIV founded la Académie des Sciences. In Germany at the beginning of this century an attempt was also made in Rostock, however the first German institution which could be considered a Scientific Society was founded by the Prussian emperor Federico in 1700. The role and interests of all these primitive societies were different, in Italy were more focused on the controversies between incipient Science an orthodoxy, in France and England on the practical Sciences or Engineering, but in all cases were the seed for the present scientific societies, and in many cases the origin of some of the most prestigious institutions. Nowadays, most of the primitive objectives of the Scientific Societies have been overcome, also the new Technologies and in particular the new information paradigm, have created a new scenario, should then the Societies be redefined, what is their new role? Paraphrasing President Kennedy, do not ask what can your Society make for you, but what can you do for your Society? After his PhD at the Carnegie Mellon University, Paulo Freitas was a postdoctoral Research Fellow at the IBM Watson Research Center, Yorktown Heights, New York, USA (1986-87). From 1990 to 2000, he was Director of the Solid State Technology Group at INESC and since 2000, Director of INESC-MN. 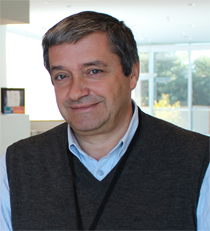 Paulo Freitas has been a full professor of Physics at the Instituto Superior Técnico since 2003, was President of the Department of Physics from 2006 to 2008, and coordinates the Biomedical Engineering Integrated Masters Course at IST since 2008. In 2007, he joined the Installation Commission of the International Iberian Nanotechnology Institute (INL) and was appointed Deputy Director General in 2009. Paulo Freitas received several awards and distinctions, namely: the Fundação Calouste Gulbenkian Prize in the area of Nanotechnologies, as PhD supervisor of H. Ferreira (2004); the Prémio Excelência, from the Portuguese Foundation for Science and Technology (2005-2006); the 2nd Finalist of Descartes Prize for Research (2007), awarded by The European Commission; and was nominated a Distinguished Lecturer from the IEEE Magnetics Society (2008). Freitas’ current research include GMR heads for ultra-high density recording, spin-dependent tunneling junctions, non-volatile memories, magnetic multilayers and thin films, micro magnetism, transport phenomena, GMR sensors, bioelectronics and biosensors. He is author of more than 350 scientific articles, one patent and inventor of a bioelectronic device. Paulo Freitas supervised 17 PhD students, more than 20 post-doctoral fellows, and develops an intense educational mission to train and coach new scientists and engineers. Magnetic materials have been with us for decades, used in permanent magnets, in soft ferrite and amorphous magnetic cores, in steels, etc… The exploitation of their properties in thin film format was first done in the data storage industry (magnetic hard disk, thin film read and write heads). Component development followed an aggressive roadmap that required technology changes from simple AMR (anisotropic magnetoresistance) read heads (from late 80s to 1996), to GMR ( giant magnetoresistance) based heads (up to 2004-2005), and later to TMR (tunnel magnetoresistance) based heads (present). The HDD industry moved from in plane recorded media to perpendicular recorded media around 2006. TMR elements started to be used in Magnetic Random Access Memories (MRAM) around 2006, but technology here also changed rapidly to cope with requirements from the non-volatile memory industry (from using Oe fields to switch the storage layer, to using the spin polarized current through the memory element to switch it). The magnetic sensor market, presently dominated at around 70-80% by Hall effect sensors and in the rest by AMR sensors, is now looking at GMR and predominantly TMR sensors to cope with more demanding applications. In this talk I will review the development of these magnetic thin film devices showing diverse applications of these technologies spanning also industrial sensor and biosensing applications.